On the July 4th holiday I sat at home watching my friend live-stream the fires in Colorado that were rapidly approaching her house. She was waiting to find out if they have to evacuate as the fires climb the hills near her house and head to a safer location for her and her family. They were lucky and everything is fine with their neighbourhood and they are home now. 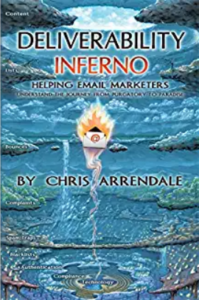 This got me thinking about email and how it can help or hurt a brand when disaster strikes. 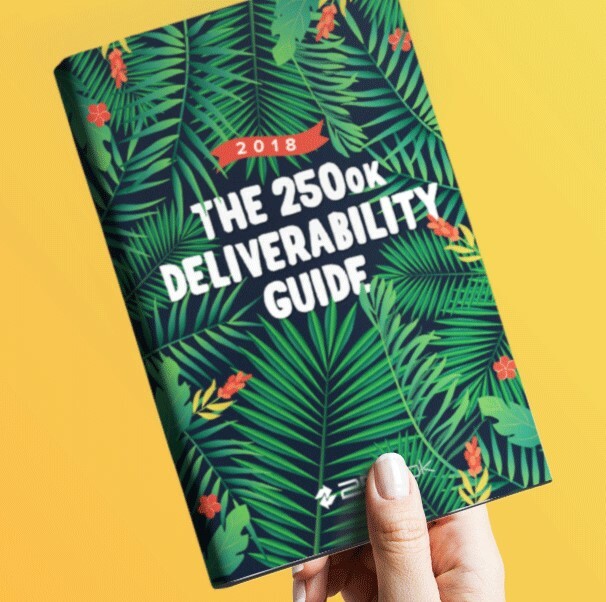 Are you able to adjust your marketing plan to deal with it? Do you even have a plan in place? Well there is nothing more embarrassing than having your company name dragged through the mud on social media for being oblivious to those in need. Aweber shared some horror stories just like this sent during Hurricane Sandy. Do residents in the area impacted need to know about your local sales today or should they be looking for shelter and information on where they can go to find safety. Is using the current disaster for a catchy subject line or as a driver for your latest promotion tag line, you should probably stop and think again. More importantly consider if your subject line with a clever pun about the rain, wind, fire, smoke, etc… is truly in good taste and if the people receiving these messages will think it’s as funny as you or your team do. Other subscribers might be looking for ways to help, and your organization might be in a place to offer just that. Things from organizing drop off centers at your retail locations or business offices, donation matching, or simply suppressing your regularly scheduled mailings for a period of time where people are not going to be focusing on them. What about when they are able to return home and the dangers have passed? Some people may have lost everything. How is your organization ready to help these individuals reclaim what they may have lost? 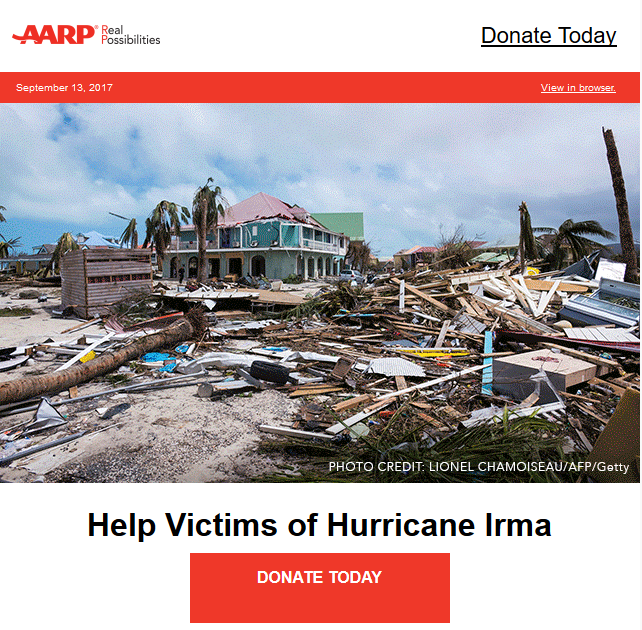 For example in this email from AARP they offer their members a way to donate money, matched by their supporting partner, the Miami Dolphins, in an attempt to deal with getting people back on their feet. Having a response plan in place will help you decided on the proper course of action for your individual business. It might take a little bit of work and effort, but being compassionate in times of disaster will make your brand a disaster hero and not the disaster zero.